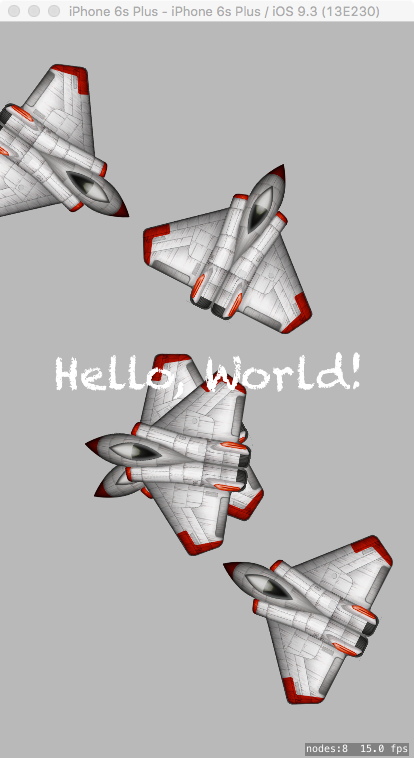 SpriteKit is a 2D Game Engine developed by Apple. It provides high level APIs and a wide range of functionalities to developers. It also contains an internal Physics Engine. Note: If you wish to develop using 3D graphics you need to use SceneKit instead. SKView: a view in which SKScenes are presented. SKScene: a 2D scene that is presented in an SKView and contains one or more SKSpriteNodes. SKSpriteNode: an individual 2D image that can be animated around the scene. SKNode: a more general node that can be used in a scene to group other nodes together for more complex behaviour. SKAction: single or groups of actions that are applied to SKNodes to implement animations and other effects. SKPhysicsBody - allows physics to be applied to SKNodes to allow them to behave in a realistic manner, including falling under gravity, bouncing off each other and following ballistic trajectories. 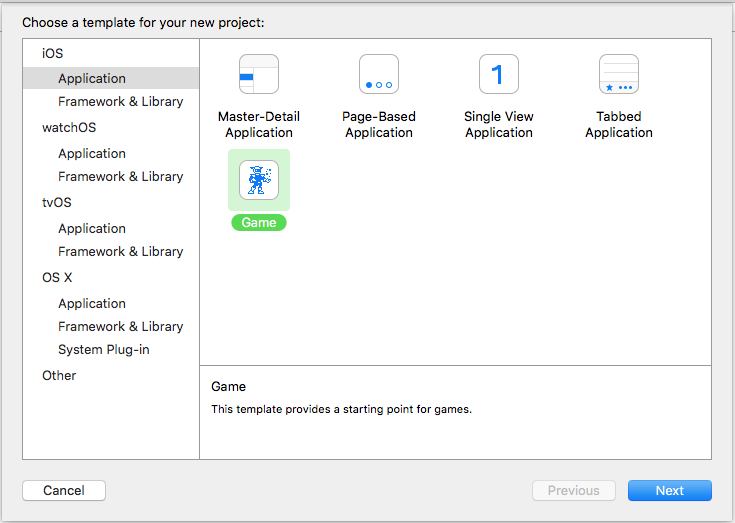 Open Xcode and select Create a new Xcode Project . Now select iOS > Application on the left and Game on the main selection area. Write into Product Name the name of your first great game. Into Organization Name the name of your company (or simply your own name). Organisation Identifier should contain your reversed domain name (www.yourdomain.com becomes com.yourdomain ). If you don't have a domain write anything you want (this is just and test). Then select Swift , SpriteKit and iPhone . Select a folder of your Mac where you want to save the project and click on Create. 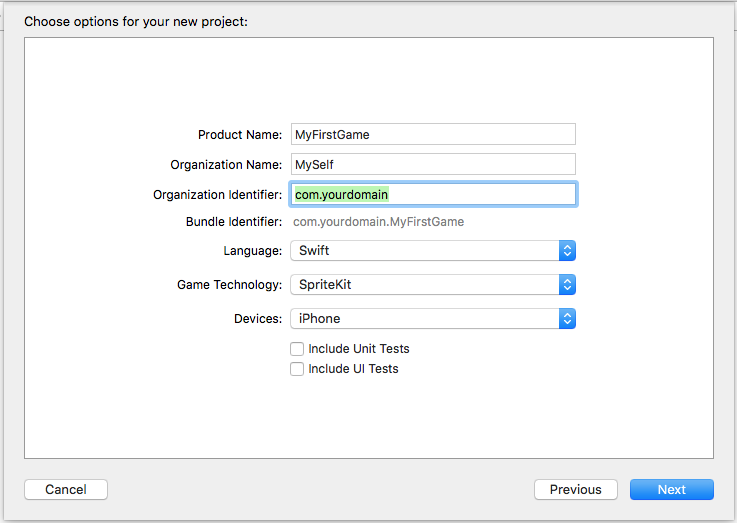 Congrats, you create your first Game with SpriteKit! Just press CMD + R to run it into the simulator!